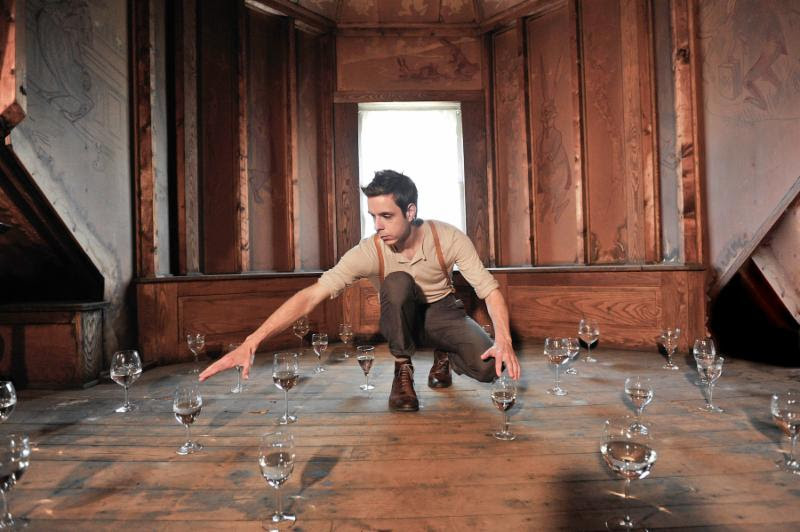 Cindertalk is the musical work of Jonny Rodgers, a renowned glass musician, composer, singer and performer. The term "cindertalk" refers to the sound of live coals hidden in the ashes of the early morning fires he lights each day to warm his Oregon cottage. Jonny delivers concerts that are anything but predictable. Armed with an array of 19 tuned wine glasses, guitars, and sophisticated electronics, his performances can range between bare-bones intimate folk songs performed on glass, to lush theatre filling compositions layered in real-time, and can turn from one extreme to the other on a dime. Bringing a classical music sensibility to bear on the world of folk and post-rock, Rodgers’ unique voice and songs feel both familiar and exploratory. He is known for breaking the fourth wall in performances, weaving audiences into his compositions in unusual ways, not folk-singalongs, but minimalist classical compositions that invite the audience to co-create as an integral element. Rodgers’ virtuosic musicianship on glass, in service to songs that dig into the emotional core of life, makes for an unforgettable experience. Cloud Farm, Gill. Jonny Rodgers is one of several artists collaborating with Serious Play on their new devised presently in development ensemble theatre work, MOVING WATER. performed in or composed for include: My Brother Jack, Don Jon, The Brothers Bloom, The Funeral Home, and The Psalms - Bono and Eugene Peterson. He has collaborated with Son Lux, My Brightest Diamond, Angelica Negron, Sxip Shirey, and many other artists. He has composed for multiple dance companies including Gallim Dance and Dance Waterloo, and has written music for countless company brands, most notably Google, Toyota and New York Life.